Demons, zombies, and beer pixies, oh my! Who you gonna call? Why, the Rochester branch of the Office of Extranormal Affairs, of course. 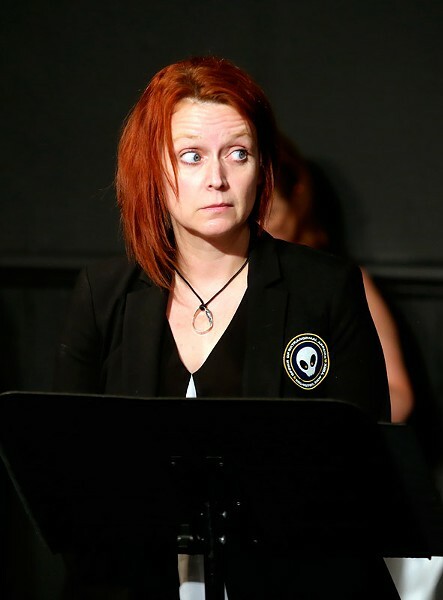 "Xeno 911" is an original radio play-style production that is sort of a mash-up of the hit TV shows "Reno 911" and "The X-Files." In addition to destructive cryptozoology, the story's investigator characters are faced with state budget cuts, nosy reporters, and out-of-control HR. Created by Ray Anthony Claxton and Ted Wenskus, the show debuted during the 2016 Rochester Fringe Festival. On Thursday, April 13, at 7:30 p.m., Meredith Powell Carroll and Ted Wenskus will present a one-night-only encore performance, which includes two action-packed episodes, at MuCCC (142 Atlantic Avenue). Tickets are $10 and can be purchased at muccc.org or by calling 866-811-4111. There is no fee for online purchases, but a $1 service charge will apply for phone orders. Latecomers will not be admitted to the show.